Irrespective of whether you are a beginner or a guru in growing vegetables, making mistakes is inevitable. You might not repeat the old mistakes, but you’ll always commit new ones each and every year. I do! However, the most important thing is to learn and move on. Over the years, in my pursuit of “learning to grow” perfectly, I’ve made many mistakes. And it would be a noble thing to share the most common ones with you so that you may not fall into the same pit as me. Many beginner gardeners believe this – common untruth – the more fertilizer they apply, the better the yields. Applying more fertilizer than the recommended amount will reduce your yields considerably. Possibly cause stunted growth and burning. Fertilizer should only be used in the ratios recommended and should only be applied on soil that is nutrient deficient. Plants will only utilize the nutrients they need; therefore, the excess nutrients will leach into the soil and go to waste. 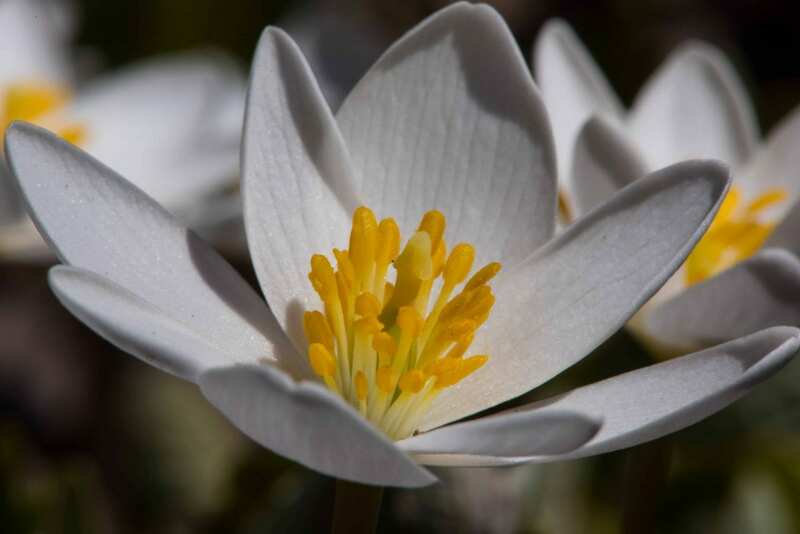 Excess fertilizer will have a greater effect on flowering plants as they might cause excessive growth of foliage at the expense of flowers and fruits. If you want to enrich your soil more, use more compost and not fertilizer. Gardeners who want to produce organic yields should never apply synthetic fertilizers to their garden. They might be cheaper but very harmful. When purchasing processed fertilizer, check the fertilizer components to determine whether the fertilizer is organic or not. You can also make your own organic fertilizer by using rotted manure. By eliminating the use of synthetic fertilizer and substituting it with organic fertilizer, you can increase your yields and make them healthier and safer to consume. Due to the small size of gardens, a majority of vegetable gardeners are tempted to plant their vegetables even in shady areas. Some veggies, such as peas and lettuces, can do well under little shade, but most thrive well in direct and uninterrupted sunlight. You can use shade to your advantage by planting your plants in the side that receive sunlight during the morning. The shade will cover them in the afternoon. This will protect them from being scorched by the afternoon sunlight. Observe the vegetation in your garden to know when they’re filled with leaves, especially the tall trees and bushy plants. This will help you know the side to plant your crops over the seasons. Amending the soil with compost will go a long way in giving you better and healthier yields. It’s indubitable that plants feed on soil. Amend your soil with plenty of organic matter and compost throughout the seasons. Organic matter will never be excess in the soil. So pile them on as much as possible for good garden growth. This’s another common mistake committed by many gardeners. Too much water causes the roots to rot because of suffocation. 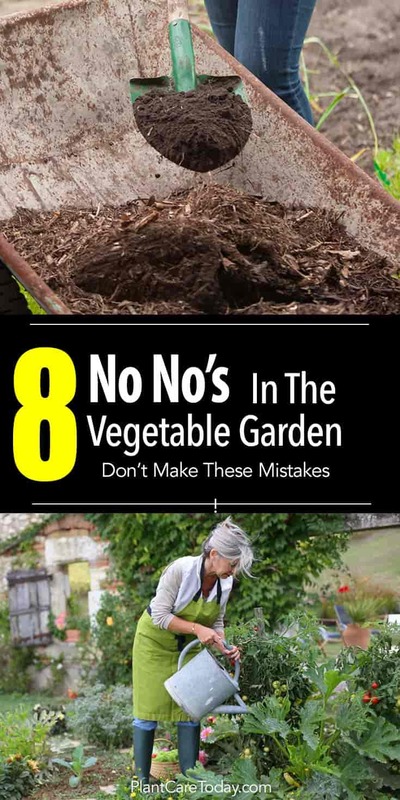 Keep in mind that the soil should be moist and not soggy. Some vegetables will only require an inch of water every week and therefore, by over watering them, you’ll be causing stress to the plants. If you stick your finger in the soil and find that about an inch or two is moist, don’t water the plants that day, re-check the next day. For accuracy, you can use the soil moisture meter to help determine the level of moisture in the soil. To maintain moisture in the soil, mulch around the plants using dried grass clippings, straw, dried leaves, non-colored bark mulches, or unfinished compost. All these will make ideal mulch for your vegetable plants. Mulching will save water, keep the soil moist, and keep off weeds. Normally, the size of the seedling dictates its depth; in that, the larger the seed or seedling, the deeper it prefers to be planted. However, it’s good to follow the directions indicated on the seed packets. Pay attention to these guidelines, because planting your seeds too deep will make them not to sprout or sprout weak seedlings because of being tired when sprouting. On the other side, planting your seeds too shallow can cause them to dry out quickly before they sprout. It can also cause the young plant to fall over or even dry out because of poor root growth. However, there are some vegetable seeds such as lettuce, which need to be planted close enough to the soil surface so that sunlight can touch and trigger them to sprout. If you plant your seed or seedlings too close to each other, you’ll be encouraging competition for sunlight, water, and nutrients in the soil. The seed packets have guidelines about plant spacing; don’t be tempted to ignore them just because the seeds or seedlings seem small; picture in mind the size of the plant when it’s mature. However, not every seed planted will germinate and not every seedling transplanted will survive. Therefore, you can reduce the spacing slightly than the recommended. If all the seedlings planted survive, you can thin out the excess plants. Young greens and carrots are delicious and can be used in early spring salad. If the vegetable plant thinning’s are not edible, you can put them around the plants to serve as mulch. Most gardeners get carried away by the “grow your own” wave and end up investing in an expansive vegetable garden. The temptation is great, and you might end up getting overwhelmed by the work of weeding, tending the plants, and managing pests and diseases. If you’re starting out, plant a manageable area and begin with easy plants such as pepper, green beans, lettuces tomatoes or eggplant. Once you gain the confidence and skills of managing them, you can expand progressively. As your experience grows, you can now start growing more difficult veggies such as Brussels sprouts or broccoli. What do you do with broccoli stalks or stems? Starting big can lead to frustrations. Pest can greatly affect the quality and quantity of your yields. You can spend considerable time, money and effort in managing them, only to get frustrated by their stubbornness. Besides, you might use a pesticide that eliminates the targeted insect but ends up affecting other beneficial insects like ladybugs, bees and lacewings that might be pollinating your crops. Using broad-spectrum pesticides can have adverse effects on your plants and your body as well. The pesticides can form a coating on your vegetables, and they might find their way to your body through the salads. An ideal way to eliminating pests is by using selective, natural means to deter pests or use pesticides formulated solely for that insect. There are various organic methods of eliminating pests that you can apply, many of which are healthier to plants and human. But this is a topic for another day. A lot of questions about gardening become common sense after a few seasons of planting. You’ll learn a lot along the way. The best thing is to have knowledge of whatever you intend to plant and learn from your mistakes to avoid repeating them over and over again.